Traveling around the world is one thing; walking around it is a completely other story. Here are six people who, in one way or another, took the slow route. It takes about 20 millions steps to walk around the world, several years commitment as well as determination, stamina, and a state of mind that few of us can imagine. Strict rules, taking into account distance covered, and verification of continents crossed, govern entry into the elite club of those that have ‘officially’ walked around the world. While many successful foot circumnavigations of the globe have not achieved official recognition, they are still an epic demonstration of human endurance and courage. 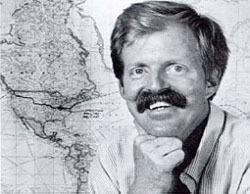 Dave Kunst was the very first (verified) person to complete an entire circuit of the earth on foot (not including the oceans, of course). Beginning in June 1970, Dave, accompanied by his brother John, left on a journey that would take them across Europe, North America, Asia, the Middle East and Europe. Sadly, John Kunst was shot and killed by bandits in Afghanistan during this adventure, but Dave completed this journey with his other brother Pete. He walked 14,450 miles total in just over 4 years. 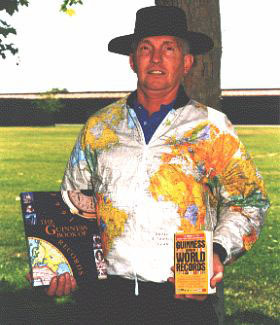 Listed in the Guinness Book of Records as the first person to walk around the world solo, Steve Newman crossed 20 countries and walked some 15,000 miles during his four-year journey. Since the time he finished his walk in 1987, he has also walked the length of Japan, South Korea and Taiwan and completed the 900-mile Henro Pilgrimage path on Japan’s Shikoku Island. He is currently planning the first ever walk across the entire length of the Great Wall of China. 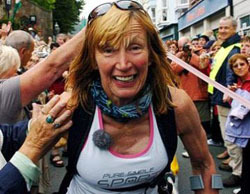 In 2003, at age 57 (yes, 57), Rosie Swale-Pope was not content with just walking around the world – she ran. To help raise cancer awareness and aid for several other charities, Rosie took on one of the most adventurous – and difficult – routes to travel the world: Russia, Alaska, Canada, Mainland USA, Greenland, Iceland and the UK. She wore through over 50 pairs of running shoes and raised more than £250,000 for charity. 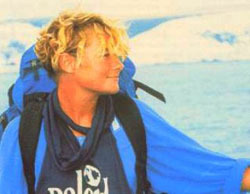 The official record of “first woman to walk around the world” was taken away from Ffyona Campbell when it emerged she cheated on a few miles of the journey during the USA leg of her trip. Nonetheless, she completed a walk of 20,000 miles, crossing the USA, Australia, Africa and Europe in the space of 11 years. She has since made up the distance missed in the USA. Although she cannot reclaim her lost record, she holds the record for the fastest crossing of Australia on foot – 3,200 miles in just 95 days. 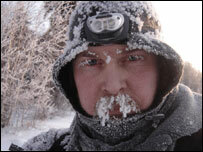 From Tierra Del Fuego to the northernmost part of Alaska, George Meegan walked 19,019 miles in 2,425 days (1977-1983). He holds the record for the longest unbroken walk, the first and only walk to cover the entire western hemisphere, and the most degrees of latitude ever covered on foot. He also maintains four other records relating to countries and continents crossed during the course of his journey. 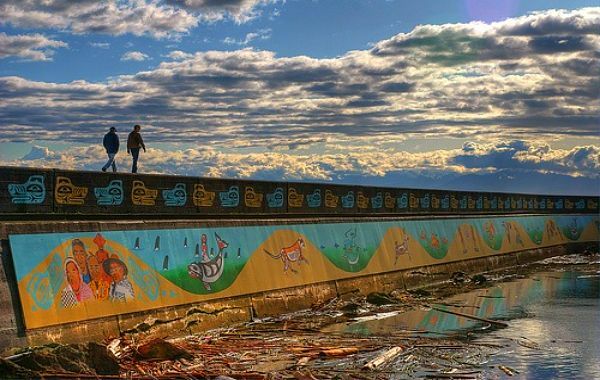 Originally planned on the back of a beer mat and started in 1998, Karl Bushby’s 14 year, 36,000 mile plan is to walk from the bottom of South America, north to Alaska, heading west crossing the vast expanse of Siberia, then through Europe on his way back to the UK. His walk is currently stalled in the middle of Russia, pending visas and sponsorship. Karl Bushby’s attempt is just one of around 20 that are in progress at the moment, most in aid of charity or to raise awareness of global issues, including ‘Hawk’ McGinnis, Gary Hause, Jean Béliveau, and Daren Wendell and William Bryan Schlackman. What do you think of the idea of walking around the world? Share your thoughts below. For other unconventional ways to travel the world, check out How to Travel Around the World Without Flying. And don’t miss Christoph Rehage On Wacky Beards And Taking The Longest Way.